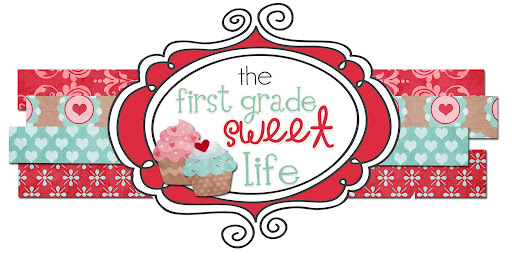 The First Grade Sweet Life: Easter Workshop! Alright, y'all. Want to hear something that is sooooooooooooooooo not funny?!?!?!?!! There is a mouse LIVING in my classroom. And, you'll never guess when charming said-mouse chose to make his first grand appearance. SMACK-DAB in the middle of a parent-teacher conference. Life lesson learned? It's hard to appear professional when standing on a table in the middle of a parent teacher conference yelling, "Mouse, mouse" to everyone you see. Let's face it: these are just not the kinds of situations that professionalism conferences cover, people. With that being said, there have been two mouse sightings since the aforementioned incident on Friday. Do you think it would be wrong to call a Code Red the next time I see my fuzzy little friend? Because I'm pretty sure he is an unwelcome intruder and I for one want to see him removed from the building. IN HANDCUFFS. But, seriously, that would be extremely unprofessional, which is why I am just going to call an exterminator. That, or a cardiologist. Because let me tell you, I will never stop having a heart attack at the sight of my newest little class pet until he is safely and soundly relocated... in Saudi Arabia. Whew... Did I mention that it's Monday??? Exhibit A: Darling Easter containers. These little buddies were PERFECT for sentence scrambles. I filled each little container I had with the words for a sentence. 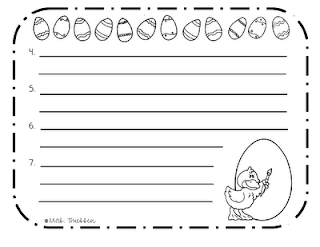 Then, my kiddos unscrambled the words to form a sentence which they wrote on their recording sheet (see download below). Super simple, cost $2, the kids love it, and the containers are precious. SOLD! Exhibit B: Read Around the Room Easter Egg Pointers! AHHHHHH! Any mouse extermination advice? Y'all gave me the *greatest* ideas for an end-of-the-year bash so I know you must be mad mouse exterminating geniuses, too. ﻿Wishing you a mouse-free classroom full of learning and fun!!!!! I can't believe the mouse came out during your conference! Yikes! I had a mouse/mice living in my classroom once, and they pooped everywhere. It was so gross! I feel your pain! I have felt your pain of a mouse in the house! EEk! I love the sentence scramble. Is the file supposed to include the sentences or just the recording sheets? Love all your great ideas! Thanks. I love the idea for using those cute containers for sentence scrambles. I cannot wait to try it out! My kids are sure to love it! However, I cannot for some reason download the freebie...could you let me know what I need to do, please? Thanks for everything! I was just at my Dollar Tree and I can not find those cute containers! Did they have candy in them when you purchased them? I want those!!!! Thanks for the form...hopefully I will find them! You are very amusing! Thanks for making me laugh today! Sorry about the mouse! 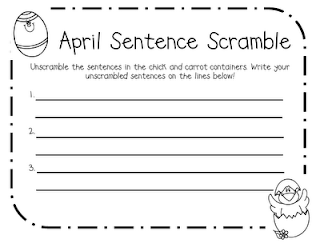 Love the scrambled sentences ideas for those containers. I got some at the Target dollar spot! I think you should have your kids write about the mouse. Maybe he's there because he wants to learn to read! They could write from the mouses perspective. Maybe he's country mouse coming to the city or vice versa and took a detour? But don't get me wrong- I would SO have been on a chair squealing! I practically do that when I see a spider! Ok... I am totally laughing... I was able "visualize" your story! LOL! I would call in sick until I saw the proof that the mouse in question was escorted out of the building!!! I have had my share of mice visitors in my old school. They use to run through the lights, up the walls, one even came up in the toilet and a student ran out with his pants on the ground, LOL. I don't like mice, my heart is pounding just thinking about them!!!!! The first grade across the hall from me has a mouse. The janitor is working on catching it. I had a snake last year. My room started to smell really horrible. I thought something died in the closet. I checked the closet...nothing. One day, I happened to be near one of the corners in my room and smelled the scent really strong. I had an open box on top of another box and assumed something died in it. I made a mental note to check it out after school. At the end of Math, one of my scholars was cleaning up the manipulatives over there. She found a dead snake behind the table. We turned the crazy event into a story. It was hilarious. Oh..this was about 14 days into my teaching career! Thanks for the great Word Work idea. I bought the chick containers awhile ago but hadn't decided how to use them. This will be perfect! I had a mouse jump out of my top desk drawer earlier this year. I screamed and ran to my neighbor teacher. It is NO fun! I finally got mine to move on when I made sure there was nothing for it to eat ANYWHERE! Oh and I left sticky mouse traps around. I have not seen it in a while but I dread the day he reappears!! We had a mouse problem in our wing of the school a few years back. There were BABIES TOO!! You don't want to put out a poison 'cause the kids might get into it. The best option we found were the sticky traps. Place it in his path with a little bait inside and let the sucker get stuck! I have had a similar experience with a mouse, so I feel your pain....In my school they put down sticky traps, but it wasn't working for me. Heres what I do.. and it WORKS!! I use Febreeze on my carpets( aq uick spray daily) and then I soak cotton balls in peppermint oil and place them around the room.. We haven't seen a mouse since(although my neighbors have) and the room smells great! We used to have mice and hamsters as pets. They would sometimes get out. To catch them, I'd put a bucket on the floor and make a little staircase with book leading up the bucket. We'd put mouse snacks (raisins, sunflower seeds, nuts, etc) on the stairs and in the bucket. They'd always find their way in at night and not be able to get out. The teacher down the hall, LOST her hamster. In my world, a hamster and a mouse are the very same! One day, I was on my stool teaching away when my most disruptive, loud, rowdy child raised his hand VERY CALMLY and said quietly, "There's a mouse under you." I jumped, screamed and ran. My friend heard me from her room and came running...she knew exactly why I was screaming. I feel your pain with the mouse...I had one in my room too a few years ago. I was so scared I would have the kids come in and stomp to scare it into hiding! I sat with my feet up for atleast a week. Then one morning it smelt TERRIBLE - the mouse had died and was rotting! SICK. Luckily we found it and removed it...Hope you find yours (dead)!